Long Man: As the owner has not responded to my previous log requesting an update is posted, I'm archiving it. 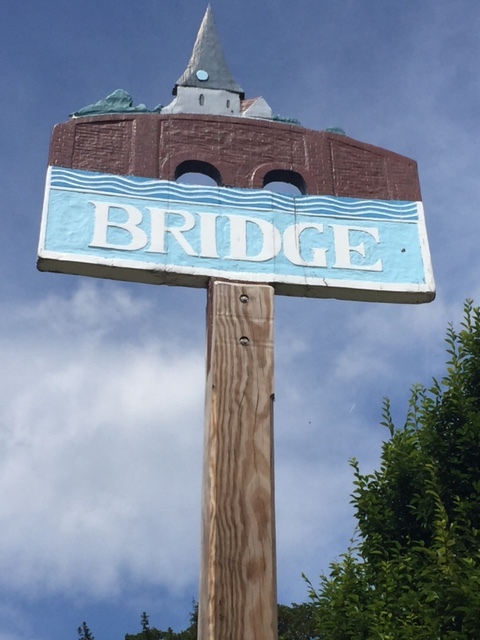 Bridge village is situated in the Nailbourne Valley in an attractive rural setting on the old Roman Watling Street, formerly the main road between London and Dover. The village is the main settlement in the Parish of Bridge and lies 2.5 miles south east of Canterbury and 12 miles from Dover. It is likely that the parish took its name from "Bregge" a bridge which crossed the Little Stour, a tributary of the Stour itself. The village is linear in form having grown northwards and eastwards along Watling Street and away from the River Nailbourne which floods periodically. The older part of the village is built on fairly level alluvial and head deposits, the height of the land varying between 25m. and 50m. above sea level. In the early 1960's a significant amount of residential building took place to the south of the centre of the village at Bridge Down. This development is situated on north west facing chalkland between 50m. and 75m. above sea level. As a result of the 1986 parish boundary changes Bridge village now lies slightly off-centre in a parish reduced in size. Although land to the north west, north east and south east was gained from Patrixbourne and Bishopsbourne, more to the south west was lost to Lower Hardres, Upper Hardres and Bishopsbourne. At the given co-ordinates you will find a phone box and you need to work out the following sum from the below details for the cache.